Newmarket Holidays aims to provide excellent value and enjoyable holidays for its customers. At the same time, Newmarket Holidays also seeks to deliver high levels of customer care. Part of this involves providing a user-friendly booking service. Newmarket Holidays has grown steadily since its formation in 1983. The company employs close to 200 people at its offices in Surrey. The company helps thousands of customers each year. Full details of the various products offered by Newmarket Holidays can be viewed on the company website, www.newmarketholidays.co.uk . If a customer is exploring the possibility of a holiday to North America, for example, details can be found under the ‘USA & Canada’ section on the website. Details of approximately 25 different Newmarket Holidays tours are provided, including holidays to New England, New York, the Deep South, Las Vegas and the West Coast, as well as Canada. Clicking on an individual holiday takes the customer to a page providing comprehensive information about that particular holiday. For instance, on the page describing the New England and Niagara Falls trip, the full eight-day itinerary is described. The holiday includes visits to Boston, Vermont, Woodstock, Quechee Gorge and Niagara Falls. For this particular holiday to New England, the webpage helpfully explains that all flights, accommodation and transfers are included, as are all excursions, in addition to local taxes and service charges – apart from a $6 charge at the Canadian Border. 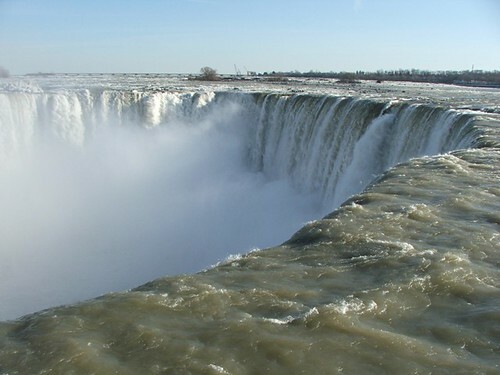 Customers have the option of a helicopter ride over Niagara Falls. Customers are able to view further details of the hotel accommodation offered by Newmarket Holidays by clicking on a further link. Like all holidays offered by Newmarket Holidays, specified departure dates are available. For this particular holiday, it is possible to depart from London Gatwick and a number of regional airports in the month of October. The dates and prices are given on the Newmarket Holidays website. Newmarket Holidays recognises that some customers may wish to view a printed brochure before they make a booking. The website includes a ‘Request a brochure’ link enabling customers to order one or several brochures. For general queries on the products offered, the Newmarket Holidays Customer Service Department is available Monday to Friday between 9am and 5:30pm. The Booking Hotline is available Monday to Friday between 9am and 6pm, and on Saturday between 9am and 4pm. Newmarket Holidays also provides the option of online booking.